When is the Right Time to Buy Your Next Car? Regardless of where you are in life, timing is everything. This is especially true when it comes to buying a new or used vehicle. Knowing when to buy can save you hundreds or even thousands of dollars at the closing table. The tricky part is identifying these times and leveraging them for maximum savings. The key to getting a good deal on a vehicle is showing up to the dealership or car lot when few people are there. If you come on a weekend when the showroom is filled with customers, it’s highly unlikely that you’ll get a good deal. The reason is that salespeople don’t feel pressure to close a sale. If you walk away, there are another dozen people waiting behind you. From the dealer’s point of view, there’s little risk involved. 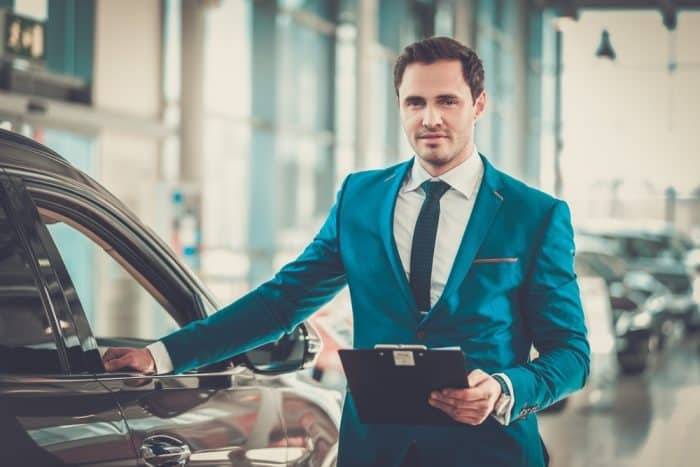 In the auto industry, Mondays are known as “clean up days.” This is the day where salespeople close up all of their loose ends and follow up with leads from the weekend. If the dealer couldn’t make a sale on Saturday or Sunday, they’ll try to negotiate a better one on Monday after the potential buyer has had time to think. With that being said, you may be better served to wait until Tuesday to buy a car. Tuesday is widely considered the slowest day of the week. 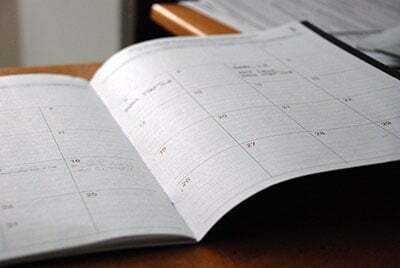 Most people work on Tuesdays and won’t be thinking about car buying until the weekend. As such, salespeople get really excited when they see a shopper come through the door. Most salespeople will do anything it takes to close a deal on a Tuesday. You can use this as leverage to save some money. Using the same logic, Wednesday is the second best day of the week to shop. Generally speaking, the best time to buy a car is the last day of the month. The reason is that many dealers have quotas to meet for the month and will offer more generous deals if they’re behind on their numbers. However, you may not even have to wait until the final day of the month. During the last three to five days of the month, salespeople begin to review their numbers and project where they’ll land. If they’re way short, they’ll aggressively pursue sales over the course of the final days. This benefits buyers who can sometimes negotiate very good deals. The reason is that the commission boost a dealer or salesperson gets from meeting their monthly mark may be more valuable than the few hundred or thousand dollars they would earn off the individual sale. Let’s take a look at an example. Let’s say a dealer gets a $500 bonus for every Chevrolet Silverado he sells in the month of May. However, he has to sell 30 of them in order to qualify for the bonus. That means he gets a $15,000 bonus at the end of the month for selling 30 of the trucks. If you walk in on the final day of the month – and the dealer has already sold 29 Silverados – don’t you think he has an incentive to give you a good deal? For example, assume the MSRP is $40,000. Even if he discounted the truck 25 percent, he would still make an additional $5,000 at the end of the month. Conventional wisdom says the best time to buy a used car is somewhere between Thanksgiving week and the first few days of January. The reason for this is that most people aren’t shopping for a used car during the holiday season. If they’re buying a used car, they’re likely on a budget – and budget shoppers typically pinch pennies during November and December when they have gifts to purchase. As for new cars, the best time may be the weeks surrounding Labor Day Weekend. This is the time when new models are introduced and dealers are trying to unload older ones. These deals generally come in the form of cash-back deals, low interest rates, and other incentives. If you wait long enough and keep an eye on inventory, you may even be able to snag a better deal by waiting another week or two. The problem is that deals tend to come and go rather quickly at this time of the year. By studying the best time of week, month, and year to buy a car, you can get ahead of the game and find a deal that works within your budget. The key thing to remember is that patience is your most valuable asset during the car buying process. It’s interesting how the average person is willing to wait for so many things, but has trouble when it comes to buying a vehicle. For example, when you order something on Amazon, you’re content waiting the two, three, or four days it takes to arrive at your doorstep. When you buy a home, you’re willing to spend weeks or even months looking for the right fit. However, when most people arrive in a showroom or used car lot, they feel an insatiable sense of urgency. Using the information in this article, you can become a more patient car buyer. By understanding when the best deals come, you’ll no longer feel rushed and startled. Instead, you can wait until the right deal is presented and then confidently sign the dotted line.